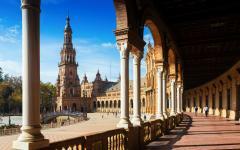 The Andalucía of legend is brought to life through the lively Flamenco dancing, hillsides strewn with grapevines, flourishing gardens with fragrant orange trees, and dramatic Moorish castles crowning central plateaus on your custom-tailored Spain tour. Antique whitewashed buildings turn cobblestone lanes into charming labyrinths. Elaborate arabesque patterns decorate the walls of lavish mosques. Dazzling bell towers transform former minarets, and quaint towns proudly display their beautiful scenery and ancient history. 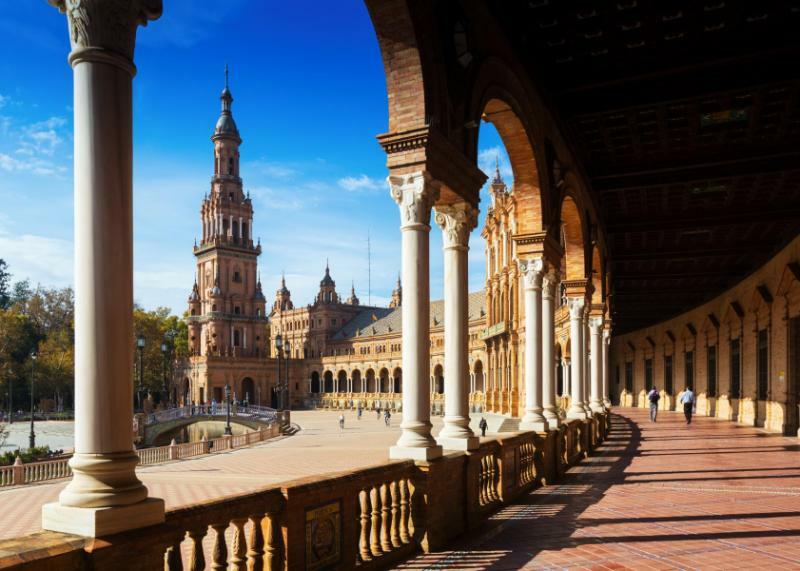 Whether sipping wine in the tranquil countryside of Montilla or dining on tapas in a contemporary café hidden by the medieval architecture of Granada, Andalucía will embrace you during your luxury tour of Spain. 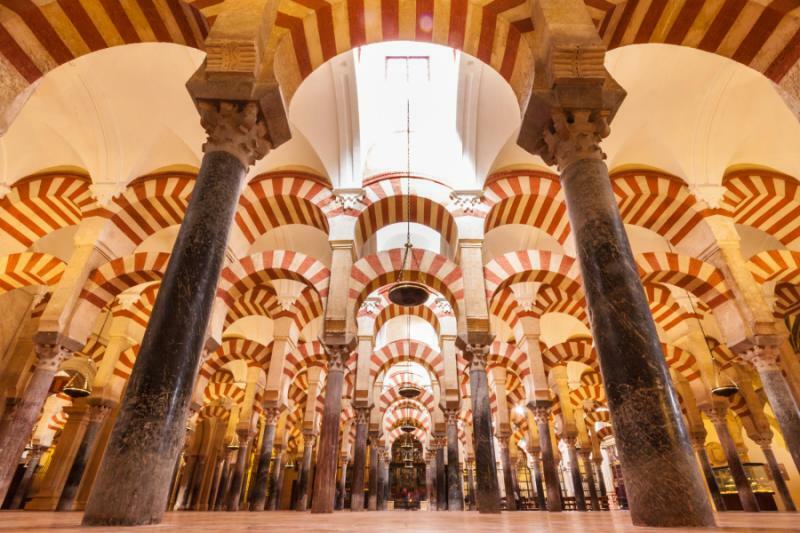 Andalucía embodies the majesty of botanical gardens, culinary accomplishment, architectural wonder, and the culture of dance during your 8-day Spain tour exploring the classic intersection of Islam, Jewish, and Christian communities in Europe. The spring months of March, April, and May provided the ideal weather for your Spain vacation, due to the flowers blossoming around the countryside. 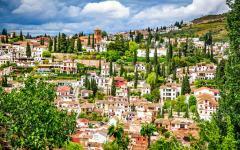 The essence of Spain emanates from the cliff-top walls of Ronda and the nearby whitewashed villages. 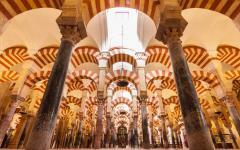 The transition of synagogues and mosques to cathedrals and churches represents the dramatic shift in power from the Moors to the Christian Kingdom of Ferdinand and Isabella. 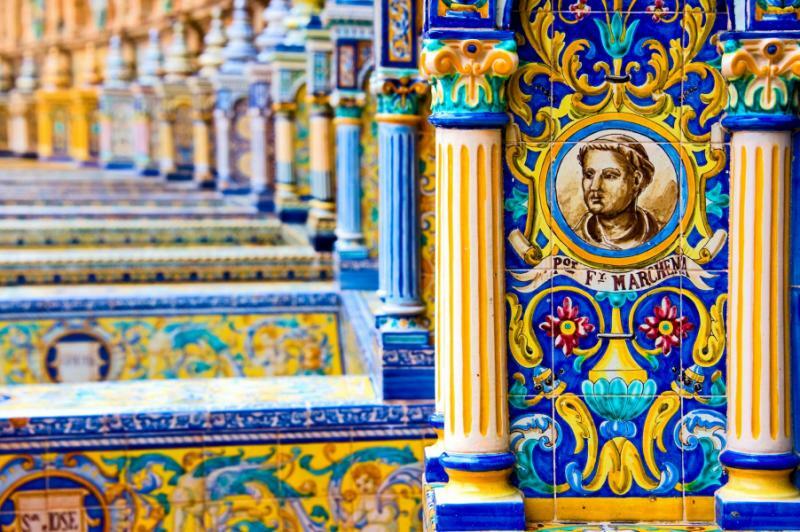 The region harnesses the mysterious and enchanting ideal of duende, the magical essence that gives life to art, music, food, and flamenco in Andalucía, infuses spices from North Africa, and preserves mosaics from the Byzantine Empire. 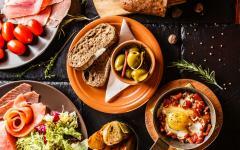 Passion spills out of local tapas bars animated with the sounds of Spanish guitar. 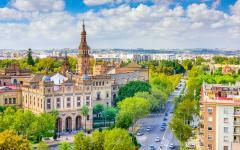 Your Spanish vacation immerses you in the essence of Andalucía beginning in the lush gardens of Concepción in Malaga, leading to the medieval charm of the meandering streets of Granada. 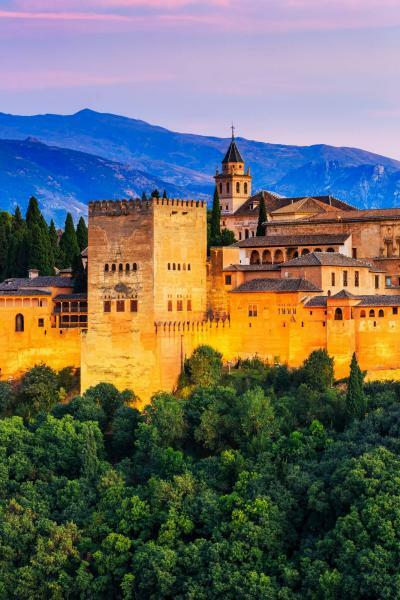 The city circles the elevated position of the celebrated Alhambra Palace with ample tapas bars serving delicious beer, local wine, and delectable cuisine steeped in provincial tradition. 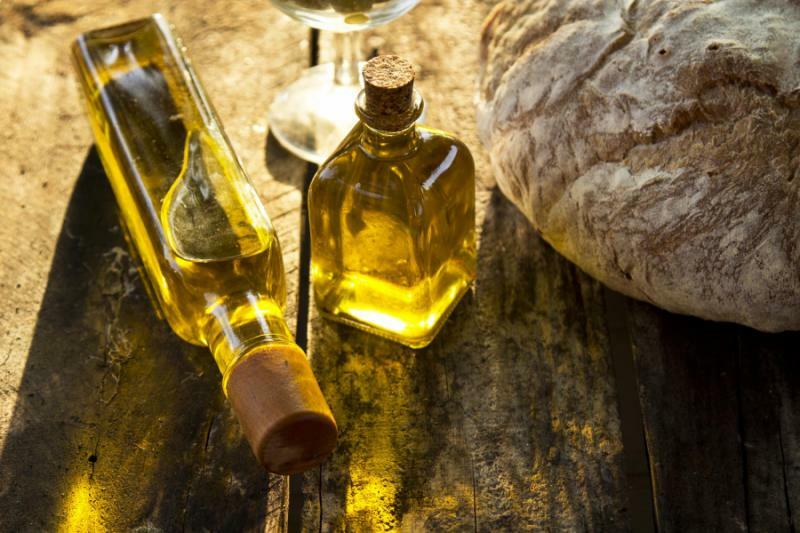 Indulge in the distinctive flavors of olive oil and wine produced in the Montilla hills, which are renowned for the simple and herbaceous tastes of the olives and the strong, sweet samples of the five different varietals of the Pedro Ximénez sherry wine. 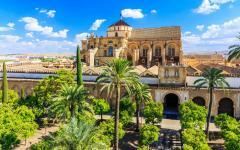 The city of Cordoba embodies the former Roman influence around the region, as well as the elegant craftsmanship of the Moors when the city acted as the center of the empire. Byzantine mosaics continue to decorate the famous mosque, and contemporary museums offer insight into the ways the natural landscape and historical architecture has inspired local artists. Explore towns hidden on the fringe of Hornachuelos Natural Park, as well as a palace protected by the surrounding woodlands and hills for a taste of the countryside in Spain’s southern region. 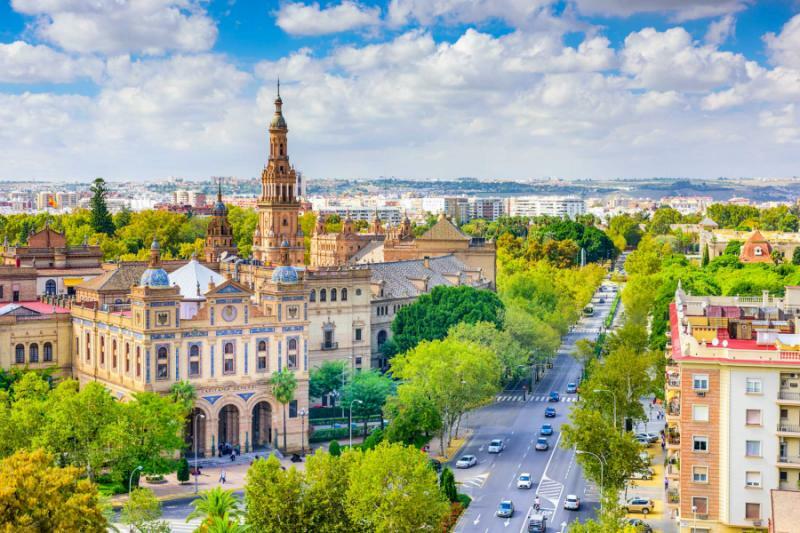 The marvels of Sevilla reveal the largest city in Andalusia, as well as the three UNESCO World Heritage sites, including the Alcazar palace, the Cathedral, and the Archivo de Indias. The city is famous for its preserved Moorish influence and the representation of duende, a spark of magic or soul, in the flamenco performances. 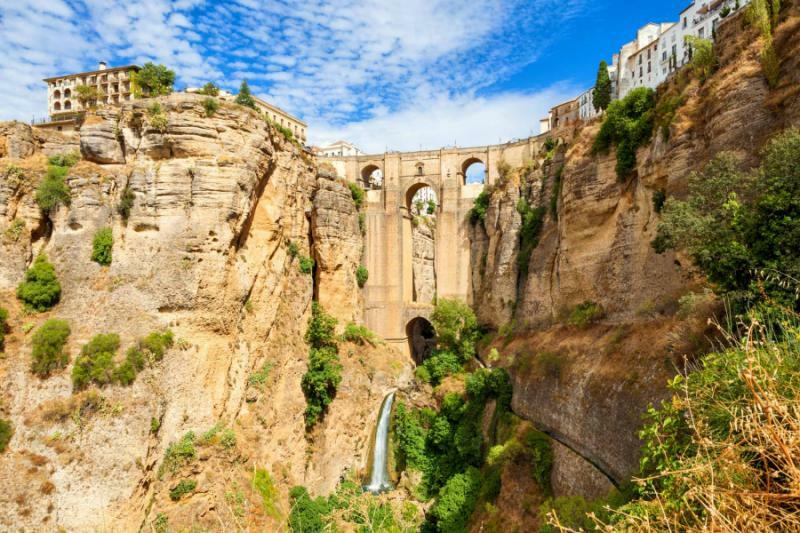 The town of Ronda embodies the serene beauty of the Spanish countryside with architecture, culture, and panoramic views inspiring artists throughout history as one of Spain’s oldest settlements. The cliff-top location and Moorish architecture provide visitors with a unique experience within reach of the coastal beauty of Malaga. 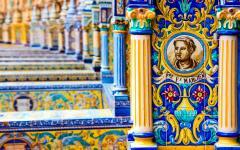 The provincial capital of Malaga is rich in history and culture but often fades behind the gilded imagery of Granada and its jewel, the Alhambra Palace. 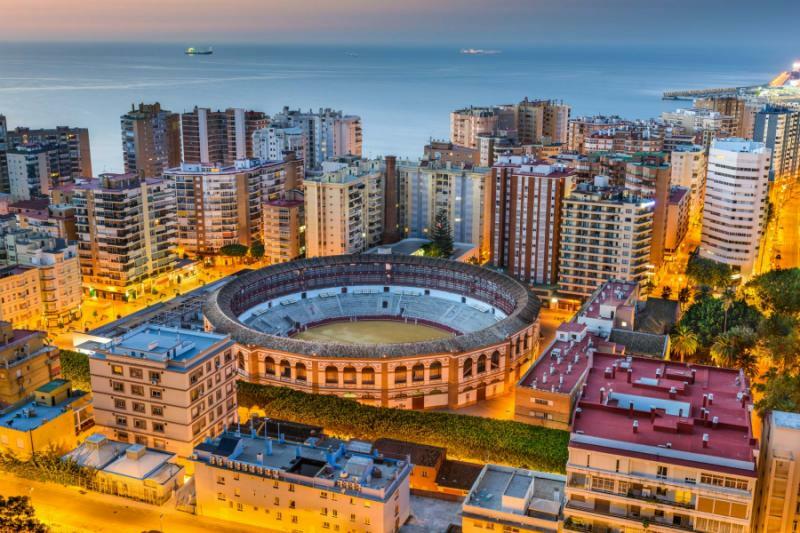 However, Malaga is a destination of its own with a dynamic culture emphasized by the “Mile of Art,” a collection of galleries that includes the Picasso Museum, the Center for Contemporary Art, the Pompidou, and the Carmen Thyssen Museum. Your private transfer greets you at Malaga-Costa del Sol Airport upon your arrival and escorts you through the city to your hotel. Once you have had some time to refresh, your private transfer will bring you to the Concepción Botanical Garden. The tropical paradise consists of over 800 species of plants and flowers in an English landscape that has decorated the northern entrance to the city for more than 150 years. 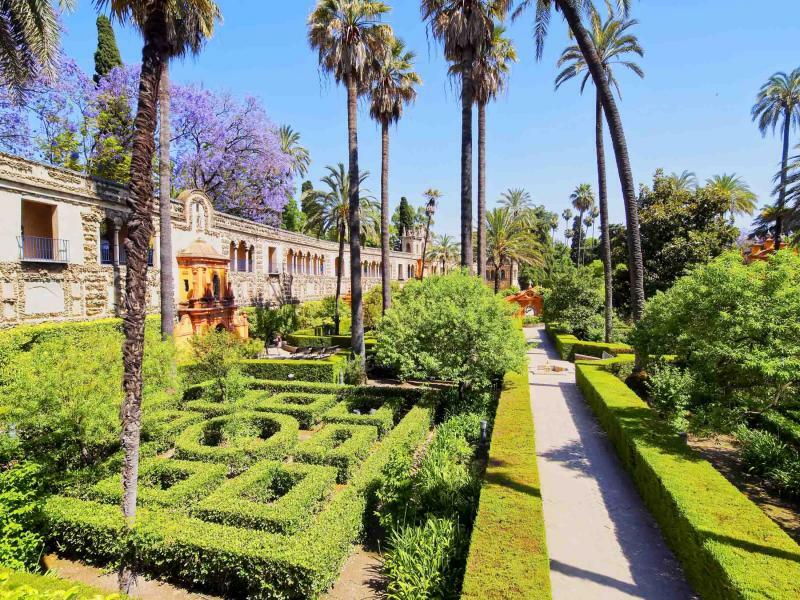 The gardens opened to the public in the mid-1990s after the Malaga city council took control of the property. The subtropical climate provides perfect temperatures for bamboo, citrus fruits, and palms, as well as the famous manicured hedges. The scent of wisteria emanates from the arbor with clusters of lilacs adding an extra layer of sweetness to the air. A statue of a forest nymph decorates the pond. A woman sits with a jug, serving as a fountain. 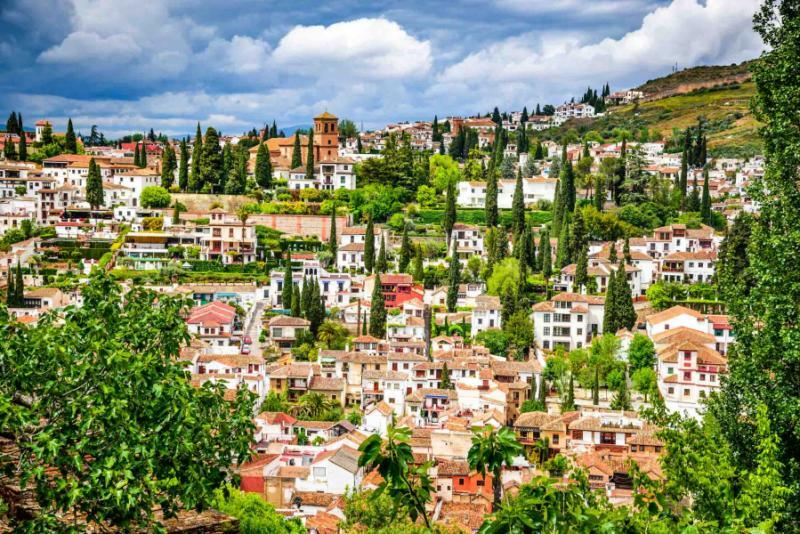 You continue to the city of Granada to explore Albaicín Quarter, where the aroma of Spanish tortillas and cured hams drift out of the local tapas bars. The scent of fresh bread drifts out of the 65 bakeries in the famous district of Alfacar. Locals drizzle olive oil over the freshly-baked delicacy, accompanied by an espresso or a Café Cortado, espresso with a dash of milk. 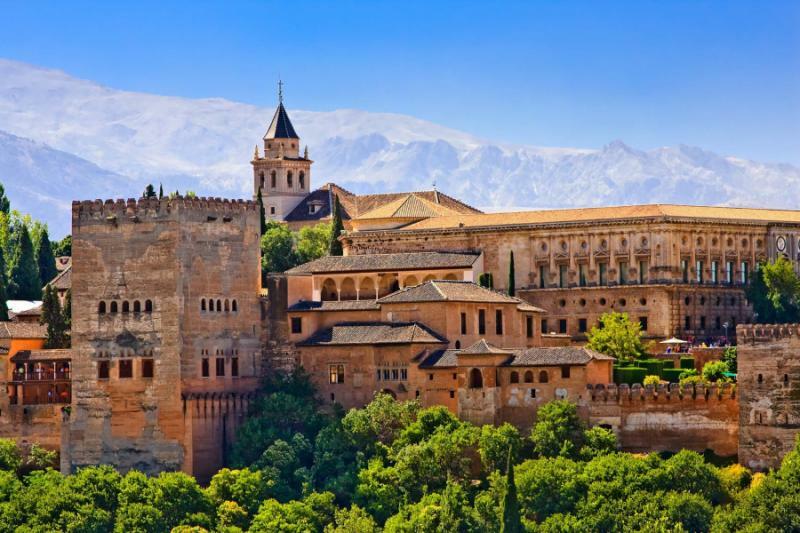 After breakfast, your guide greets you in the lobby of your hotel and escorts you through the labyrinthine medieval streets of the city to reach the natural plateau on Sabikah Hill, which is decorated by the grand façade of the famous Alhambra. 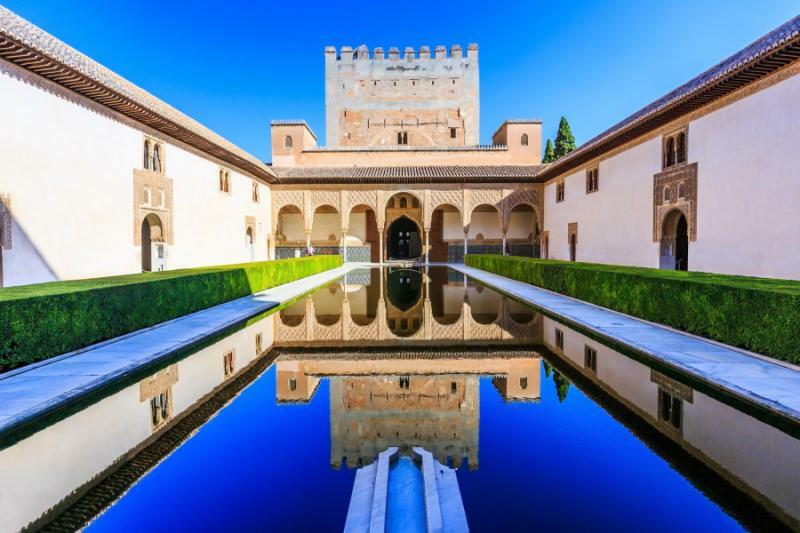 The historic palace reflected the culture of the Moorish rule in Spain and was erected over a smaller fortress first constructed in the 9th century AD over the ruins of ancient Roman fortifications. By the mid-13th century, the Emirate of Granada established the walls grounds that remain, constructing a palace in which King Ferdinand and Queen Isabella chose to hold the Royal Court after the Reconquista. The sunlight glints off the stone of the bordering walls in view of the Sierra Nevada mountains framing the edge of the city. 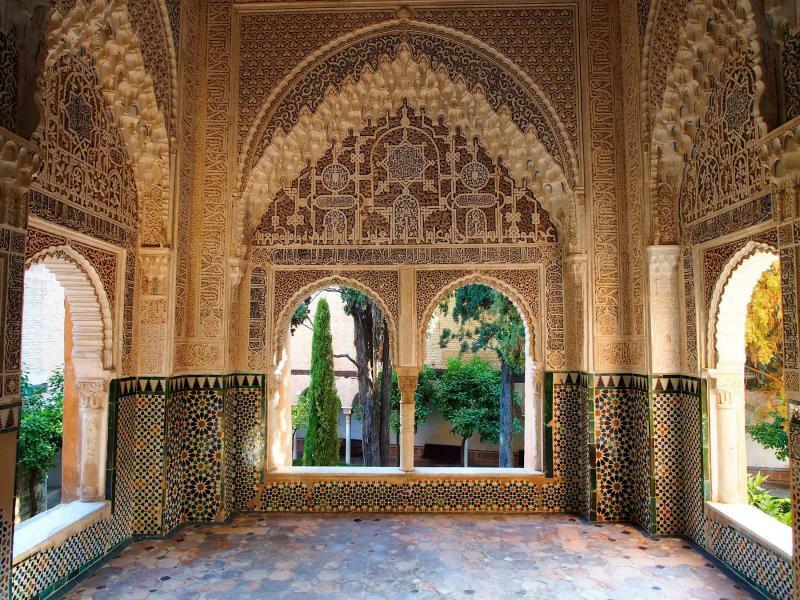 You pass through the entrance pavilion and notice the opulence of the architecture blending Moorish design with elements of Christian Spanish monarchy. 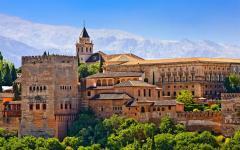 The church, Iglesia de Santa Maria de la Alhambra, was converted in the 16th century from the complex’s mosque. Your guide leads you to the marble plaza reaching 116 feet long, more than 65 feet wide, which is known as the Court of the Lions. A stunning fountain stands at the center of the plaza surrounded by 124 white marble columns. The 12 marble lions are positioned like a clock and support the alabaster basin. Originally a lion would spout water from its mouth on the hour connoting the time. The morning light spreads across the walls of the Alhambra in the morning and over the lush forest growing along the steep slope of Sabikah Hill. The scent of rich coffee fills the dining room at breakfast, accompanied by the scent of delicious jamón de Trevélez, a cured ham salted in the town of Trevélez located nearly 4,600 feet above sea level. 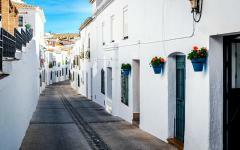 You leave Granada after the rejuvenating meal and venture to Montilla, a town located in the countryside near Cordoba known for producing delicate olive oils and sweet wines. Grape vines roll across the landscape along the golden hills and have produced crops since Romans settled in the region nearly two millennia ago. After the Christian kingdom returned to Spain, the region grew in importance due to the prominent grape crops, intertwining culture and religion with wine, palaces, convents, and churches. Olive oil mills populate the cobbled streets of the town, filling the air with an herbaceous aroma. 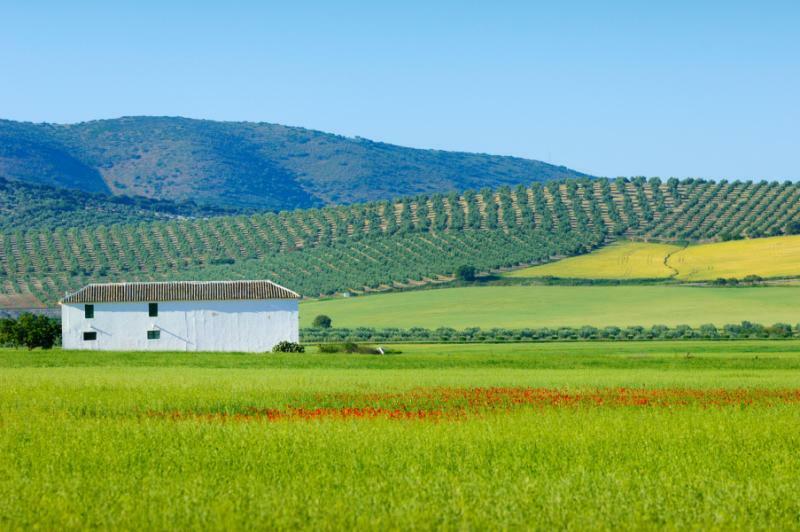 The mills provide insight into the cultivation of the olives, as well as the production of the oil, which is as cherished in Spain as in other popular olive oil producing countries like France and Italy. Your local guide provides a demonstration of the antique oil mill that presses the olive into a paste, separating the liquid from the solids. In the tasting room, your guide leads you in a sampling, finding aromas of green grass and slight citrus fruit. 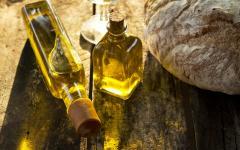 You sip the olive oil, allowing the smooth thickness to coat your tongue, leaving a fresh taste on your palate. 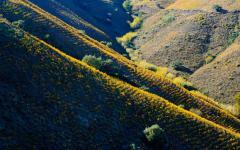 The wines in the protected region, referred to as a Denominación de Origen, are known for their strength and sweetness, especially the Pedro Ximénez varietal. Locals are particular about the classification of their wine as opposed to sherry, as sherry is often fortified with extra alcohol and vintners of Montilla produce wines with over 15 percent alcohol content on their own merit. Once in the tasting room, you sample the white wine and find aromas of butterscotch and golden raisins. You can easily imagine sipping the wine while enjoying a slice of spice cake. Even in the morning, the aroma of caramelized onions and sautéed mushrooms emanates through the doors of a chic café on Avenida del Gran Capitan. You sip your strong and creamy Café Cortado before meeting your guide for a full-day tour of the majestic city of Cordoba. The winding streets reveal the true pleasures of the historical city with lanes paved with stones and framed by medieval architecture. Wrought-iron balconies and street lamps decorate the structures along bursts of color from the flowering potted plants. Sporadic trees shade plazas hidden within the melee of meandering streets. 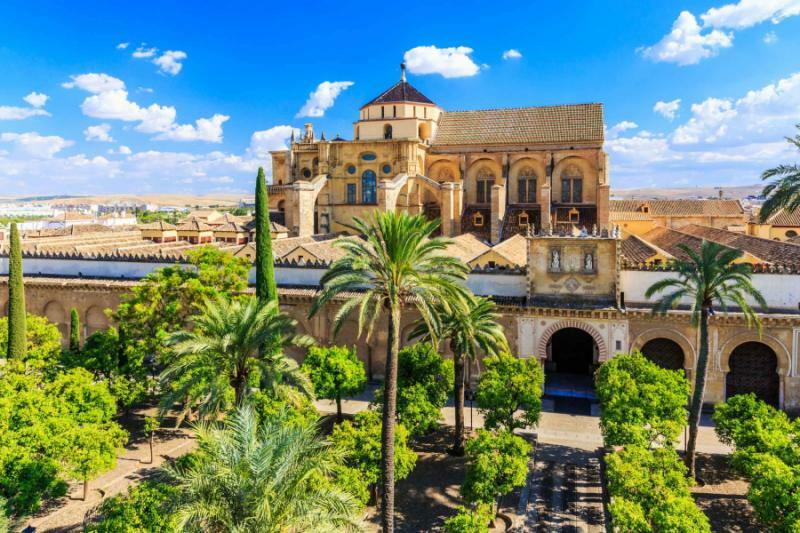 Your guide leads you through the maze to the famous grounds of the Mezquita, a spectacular mosque first erected in the 8th century AD. 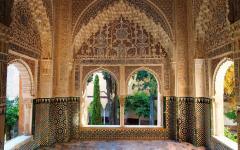 The remarkable work of historical Islamic architecture demands attention, with lustrous décor refined by a respectful interaction with the different cultures of Spain at the time of the mosque’s construction. The scent of oranges lingers around the courtyard in which palm, cypress, and citrus trees grow around the decorative fountains. The bell tower stands nearly 180 feet tall and casts a shadow over the courtyard. The mosque’s interior places emphasis on horizontal space with archways connecting the original 1,293 pillars, of which 856 remain, with stripes of red and white stone. The tall ceiling promotes openness, with a feeling of endless arcades. You continue to the Julio Romero de Torres Museum, which is housed in a former hospital. 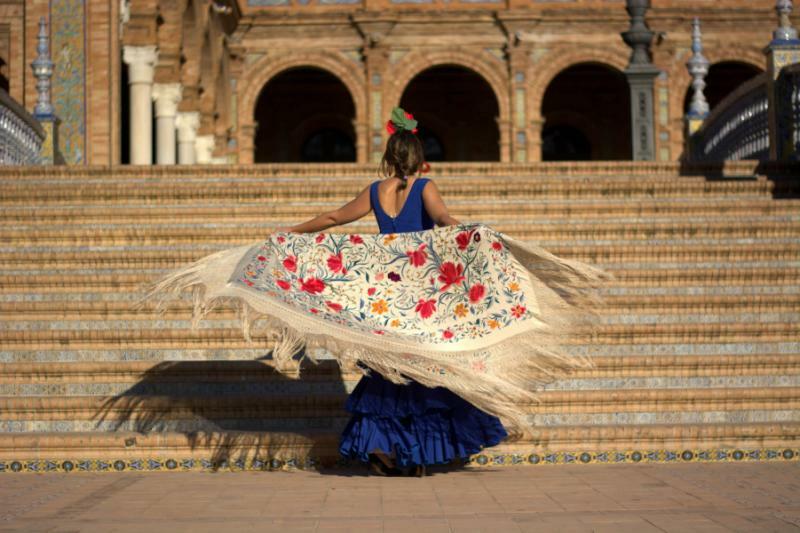 The popular gallery represents the works and life of the beloved painter famed for depicting Andalusian feminine beauty, as well as the regional culture of flamenco and bullfighting. The artist worked in many different styles but focused on realistic characters and the enchantment of his surroundings, which included the landscape of Andalucía and the figures he chose to capture in his art. 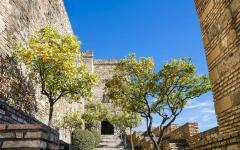 In the morning, the scent of oranges and coffee provide a refreshing aroma in the historical city of Cordoba. 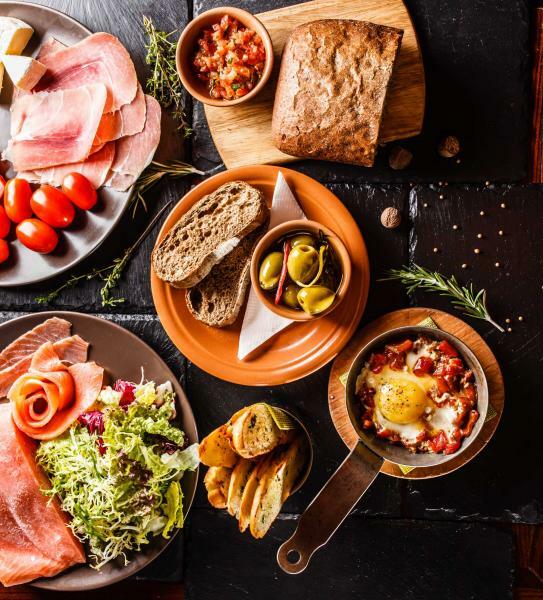 The magnificent beauty of Spain continues to radiate from the cuisine, the culture, and the natural scenery bordering the captivating classic architecture. You depart Cordoba for the spectacular gardens of Moratalla, which were created around 1910 as a recreational area for the Marquis of Viana. 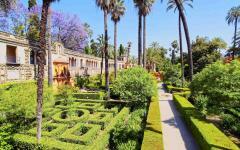 The gardens integrate French and neo-Sevillian style along a single boulevard leading to the palace façade. An ornamental iron gate travels along seven terraces shaped by a slightly sunken lawn. Whimsical motifs of serpents decorate the terraces, as well as fountains, benches, and tables adding to the serene ambiance of the garden. 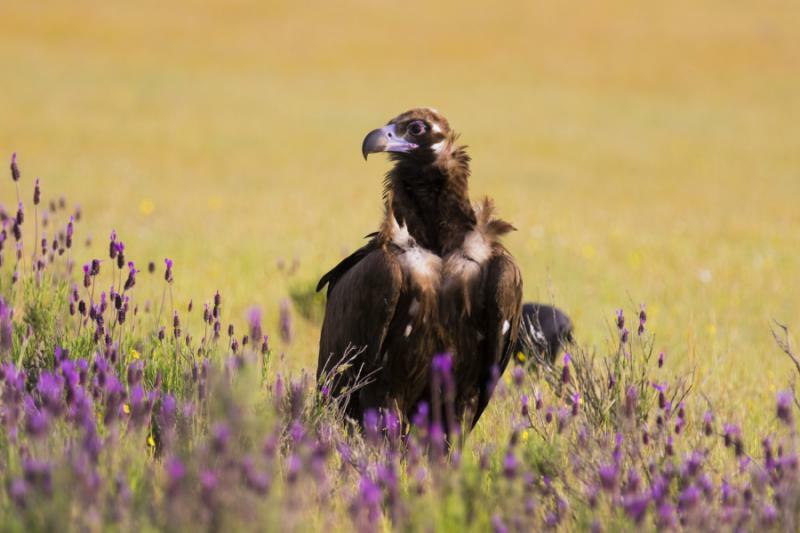 You continue to Hornachuelos Natural Park, which encompasses over 230 square miles of protected landscape along the rolling hills of the Sierra Morena and vast woodlands of holm oak, cork oak, and ash trees. 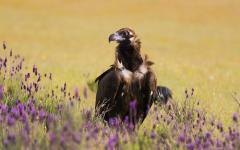 Eagles, raptors, and a colony of rare black vulture thrive in the tranquil and undeveloped region. The small town of Hornachuelos stands on the fringe of the park, providing easy access to the small reservoir at Rio Bembézar and the trails winding through the forestry. Wild boars and red deer continue to graze in the underbrush and otters swim in the untamed rivers. Orange trees dominate the town with the prevalent scent of citrus. Butchers offer an abundance of venison sausages and specially prepared legs of deer. Bakeries and cafés fill their menus with the local desserts of doughnuts and delicious biscuits. 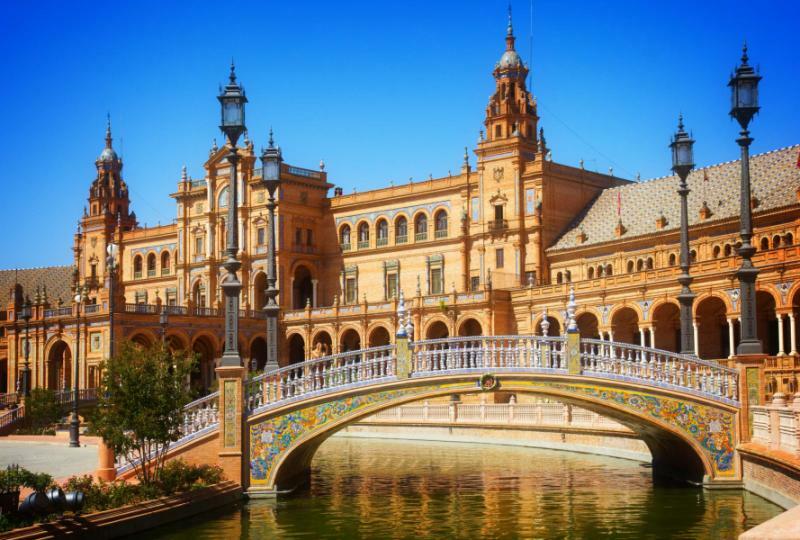 Sevilla captivates you quickly and easily through the mixture of serene cobblestone lanes and promenades lined with palm trees. Antique street lamps light the nights and early morning hours glow with a majestic ambiance amidst the figure of the largest Gothic church in Christendom. You set out to explore the city with your guide, finding the marvels of the city within the winding alleyways circling through the medieval Barrio Santa Cruz. The former Jewish quarter of the city shines with white walls, wrought-iron balconies, and bursts of gardenias. Many of the churches within the district were once synagogues amidst the attractive patios and hidden cafes filling the shaded squares. 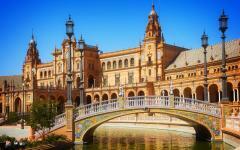 The fragrance of orange trees leads you to the grand façade of the Sevilla Cathedral. The bell tower once belonged to the mosque and was built in the 12th century, standing over 300 feet tall. The holy complex continues to act as the emblem of the city with orange trees decorating the forecourt to the cathedral hiding the structure’s immense proportions. The cathedral has five aisles and reaches a length of nearly 385 feet long and 250 feet across, with ceilings more than 130 feet tall. The open space represents a masterpiece of gothic design as well as an overwhelming interior hosting woodcarvings, silver images, and contains a monument dedicated to the burial of Christopher Columbus. The spiced aroma of frankincense overtakes the orange scent from the forecourt. 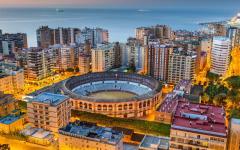 In the evening, you travel to a venue known for their flamenco performances and delicious traditional cuisine. The scent of espinacas con garbanzos, a dish of spinach and chickpeas, drifts through the kitchen. Starters offer small dishes of stuffing made with chicken, chorizo, and blood sausages turned into small sandwiches. The house lights turn low. The guitarist strums his strings with a single performer standing center stage. She stomps her feet and creates the rhythm to which the guitarist follows, turning the dining room into a captivating performance of passionate movement and music. The morning light washes over the Metropol Parasol, popularly known as Las Setas de la Encarnación (Incarnation’s mushrooms), the world’s largest wooden structure. The modern architecture contrasts the antique ambiance of the city center, with the pillars forming a honeycombed roof nearly 100 feet above the street. 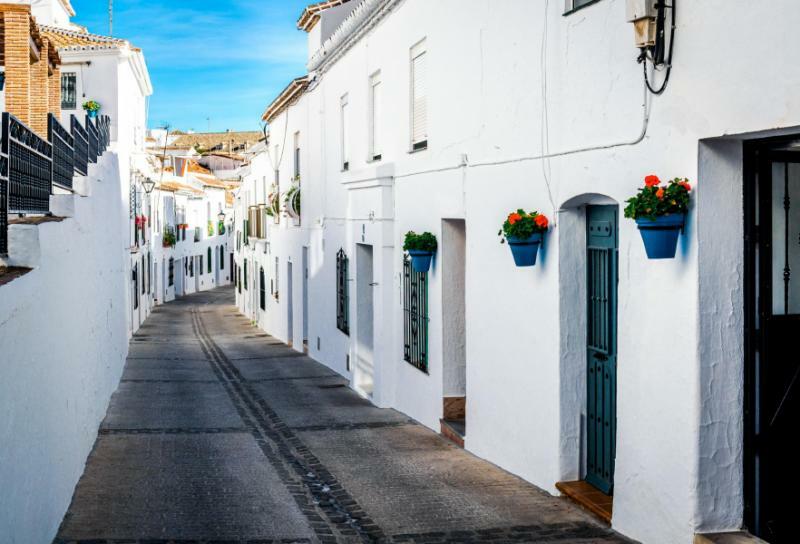 After breakfast, your transfer leads you out of Sevilla to reach the white villages of Andalucía arriving in the town of Ronda. 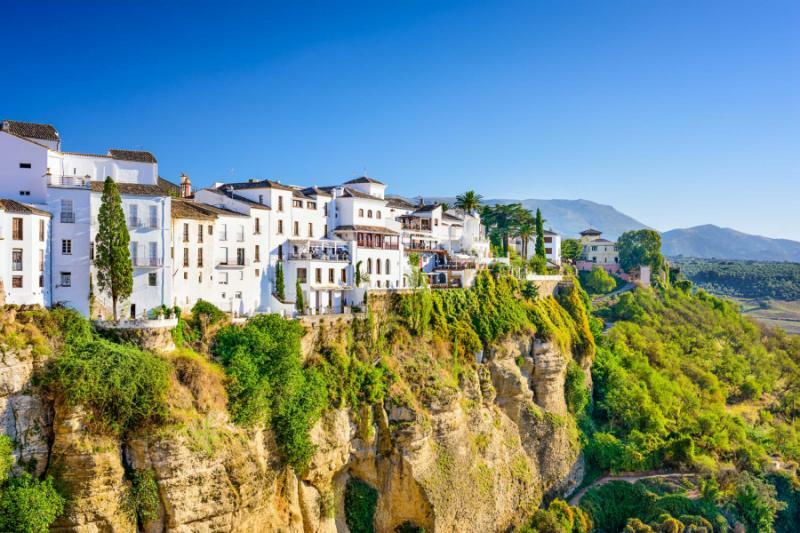 The small and picturesque town straddles the edge of El Tajo gorge and represents the culture of Andalucía in its connection to bullfighting. Panoramas overlook the cliffs reaching nearly 430 feet tall and overlooks the encircling mountains. The foundations of the city date back to the 9th century BC and have since inspired the likes of Alexandre Dumas, Ernest Hemingway, and Orson Welles. The New Bridge, known in Spanish as Puente Nuevo, was erected in the late 18th century and stands 230 feet long and over 320 feet tall. It connects the historical Moorish district of the old city with the market quarter located in the more contemporary settlements of town. A pathway zigzags along the cliffs to reach the lower mills offering tremendous views of the gorge and waterfalls. You reach the Palacio de Mondragon, the historical and lavish home of Moorish emirates and Spanish governors dating back to the 14th century. 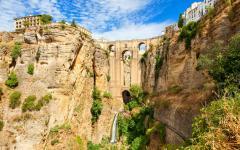 Legend states King Ferdinand and Queen Isabella stayed in the residence during the reconquering of Ronda from the Moors. Two small towers frame the entryway to the palace. The interior galleries host a museum dedicated to the history and prehistory of the region. Palm trees and Mediterranean brush grow in the forecourt, representing an untouched Moorish style decorated with archways, trickling fountains, and pomegranate trees. 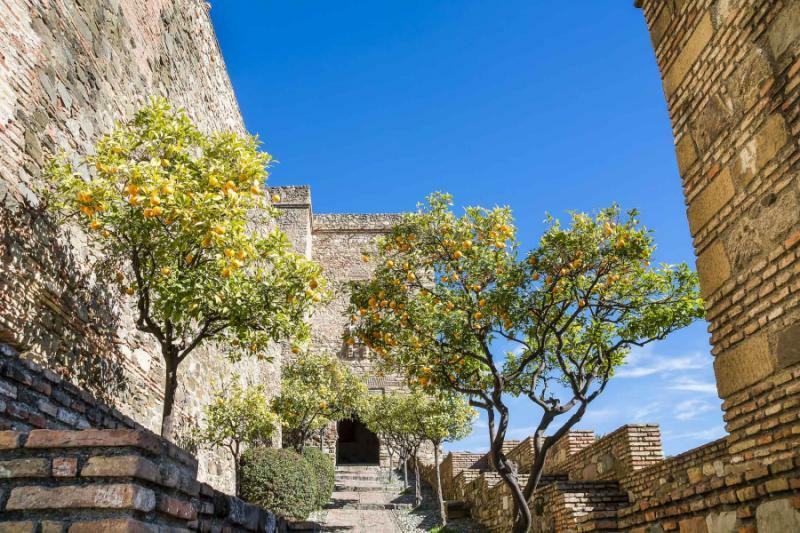 The 10th-century Moorish castle continues to decorate Malaga with lavish décor and design, erected over the remains of an ancient Phoenician lighthouse. The indigo waters of the Mediterranean Sea lap at the golden sands along the Costa del Sol. Palm trees shade the quiet seaside promenades and give way to the ruins of a Roman theater blending natural beauty with remarkable history. The winding lanes provide views of the shimmering stone of the Moorish stronghold once containing 110 main towers, while the 19th-century botanical garden exhibits tropical and subtropical flora from around the world. At breakfast, you take your time indulging in the decadent aroma of a fresh-brewed espresso. Your private transfer greets you in the hotel lobby after the meal and escorts you to Malaga Airport for your flight home. Instead of returning home, you could extend your time in Spain and discover the charms of the Sagrada Familia Basilica in Barcelona or the brilliance of the Prado Museum in Madrid. "It was fabulous! Specifically, the communication prior and during the trip was perfect." "This agent is hard-working, honest, very easy to work with, and customer-centric."